Born in the Austrian Alps, Atomic has Skiing in its blood, producing high quality goggles and helmets for all classes of skiers. Their passion for safety is apparent with new developments into their helmet designs and structure, the introduction of AMID and Holo Core technologies this season means we can offer the ultimate in protection. 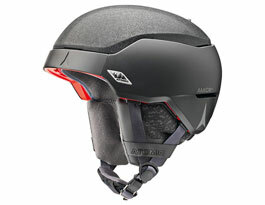 For more than 60 years Atomic have been supplying quality products to both pro and leisure skiers. The passion of their employees drives their success and inspires their designs resulting in consumer friendly products that go the extra mile. A key feature of our range of Atomic helmets is the Live Fit system, which uses a special memory foam to create a perfectly fitting helmet straight out of the box. 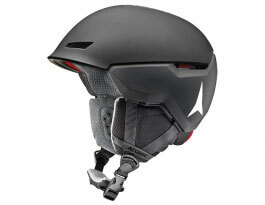 Helmets featuring both tough hardshell and lightweight in-mold construction are available. 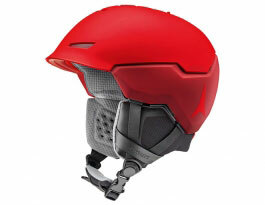 Atomic have been able to create a line of helmets which is not only functional but also looks the part, with up to date styling and colours to suit everyone. They also integrate seamlessly with Atomic goggles for a coordinated look! Piste, powder, cross-country track or World Cup. 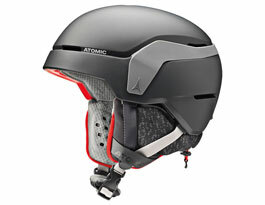 Wherever people ski, Atomic is there with products that push the world of skiing forward. For 2018/19 Atomic is proud to present innovations designed to transform the market and offer the ultimate in protection and performance. Atomic proudly hails from the Austrian Alps. More than six decades on from their founding, you can still find them there. Since the 1950s the equipment they've made in Altenmarkt has taken skiers to the top of every podium, deeper into backcountry and smoother down the piste. Their secret? The know-how and passion of their employees and team of athletes. Skiing runs through Atomic's blood, not just shaping how they design and deliver products, it inspires and defines the brand. Atomic helmets are no exception. New for 2018/19 is the Count. Designed to fit the bill for even the most demanding skiers, this design is the helmet of choice for Atomic's esteemed team of pro athletes. Using best-in-class technologies, the Count is one of the showstealers of the season! Hybrid shell construction on the Count optimises weight distribution and protection for a balanced fit that wears well throughout a long day on the piste or out of the resort, and delivers superior impact protection where you need it most. Atomic go the extra mile to keep you safe on the snow. To this end, one of their unique in-house developments is AMID, the Atomic Multi-directional Impact Deflector, a revolutionary dual-density foam sytem which is fixed to the helmet’s core and free to move in all directions. 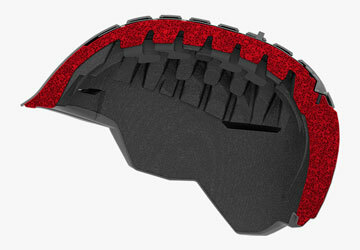 This means better protection against impacts from all directions – as the foam cushions energy right at impact, then continues to deflect energy away from the head through its movement. AMID gives 40% higher protection than industry safety standards require. 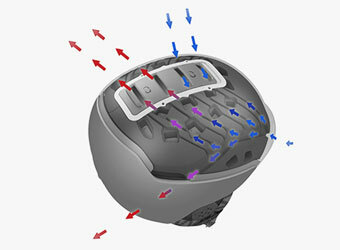 All of Atomic's all-mountain helmets can be adjusted by a dial at the back of the helmet. This allows you to manually fine-tune your fit, including height adjustment of the reel. 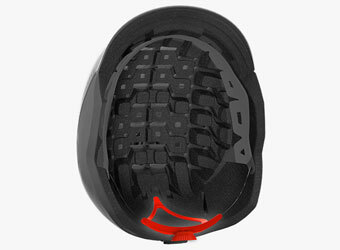 This unique construction method, found in all Atomic helmets, creates an extended "crumple zone" for maximised shock absorption, with up to 30% higher impact protection than the required industry standard. Different ventilation systems across the range including the fully adjustable Aircon Venting system pictured help to keep your head cool when on the move without making you freeze. Make the most of your Atomic helmet by pairing it up with a pair of Atomic goggles from our range. Atomic goggles and helmets are engineered to deliver a perfectly synchronised fit, boosting comfort and the look of your gear! Explore our complete range of Atomic ski goggles and learn more about models including the new Count 360, the Revent Q featuring a Quick Click lens replacement system and the Revent L OTG - a popular choice for eyeglass wearers.